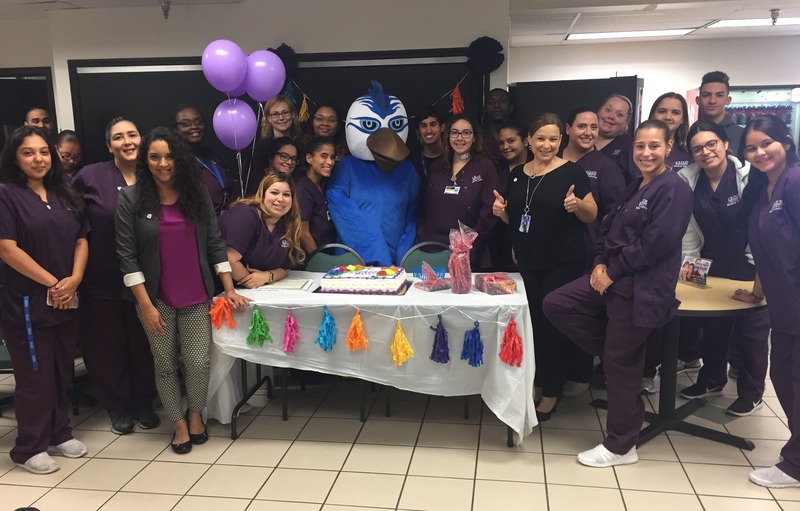 Skylar stopped by the Orlando campus to help celebrate Medical Assistants week. 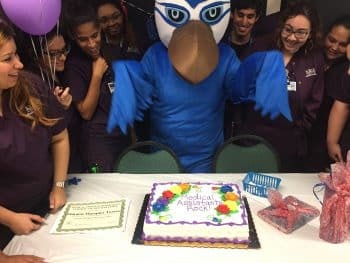 The Medical Assisting department celebrated with cake, games, raffles and unique certificates where students voted for the most studious student, helpful, social, friendliest, and loudest along with other categories. The department chair, Bibi Sullivan started the week with a special message to all medical assistants’ students on campus. I would like to congratulate you on your decision to become a Medical Assistant. 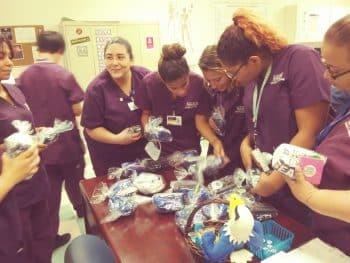 We are proud of our Medical Assistants students and graduates who are dedicated and compassionate members of the health care team and our community. Medical Assistants make a significant contribution to the quality of health care delivery to patients of all ages. You might feel like quitting. You might struggle. You will have days where you will wonder, “what is it all for?.” You will have days when people attempt to break you down, or challenge your intelligence, skills and right to be where you are. 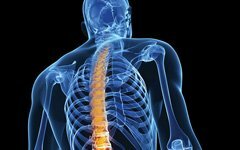 You will have moments when you question your own abilities, and perhaps your sanity- but you will rise. 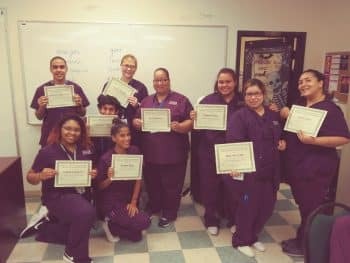 You will rise, because your strength as a Medical Assistant is not determined by one grade or one job- it’s an ongoing journey of learning, honor, humility and a chance to make even the smallest difference in the lives of your patients.